Automatic dry mortar production line is a set of machine that produces all kinds of dry mortar for construction industry and other uses. It has wide application in the production of masonry mortar, plastering mortar, thermal mortar, anti-crack mortar, self-leveling mortar, runway repairing mortar, highway repairing mortar, tile adhesive, interior wall decoration putty and paintings. 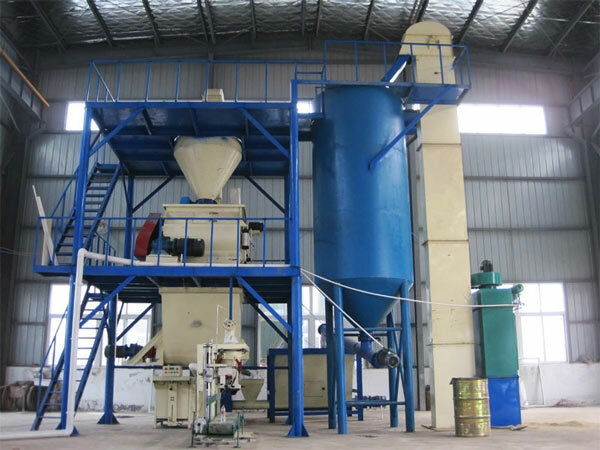 Automatic dry-mixed mortar production line is designed for enterprises who have demand for producing large amount of dry mortar. Aimix dry-mixed mortar plants have been exported to many countries all over the world such as Cambodia, Algeria, Iran, Thailand, Russia, Pakistan, Indonesia, Peru etc. The following are some pictures took on the installtion site and packing site. According to the structure, dry-mixed mortar production line can be classified as four different types: Tower type automatic dry mortar production line, Stair type dry mortar production line and Flat type dry mortar production line. According to the automatic degree, the dry mortar production line can be classified as three different types: Simplified type small mortar production line, Automatic type dry mortar production line, Semi-automatic dry mortar production line. 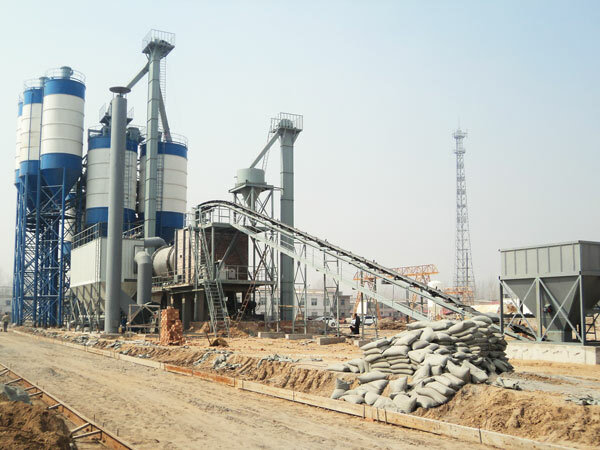 Dry Mix Mortar Plant is another name of dry mix mortar production line. Also known as dry mortar plant, it refers to the same set of dry mortar equipment that is designed for producing all kinds of dry mortar. Inside the dry mortar mixing plant, mixture of fine aggregate inorganic binder, water-proofing thickening material, mineral admixture and additives are mixed in a certain proportion by mortar mixer after drying and sieving treatment. The final product – is usually packed in bags or in bulk amount. Dry mixed mortar can be put into use on construction site by just adding water or other ingredients and mixing them together. Cementing material: cement, lime, plaster. Aggregate: yellow sand, quartz sand, limestone, dolomite, expanded perlite etc. Mineral admixture: industrial byproduct, industrial slag, fly ash, pozzolana, fine silica powder etc. 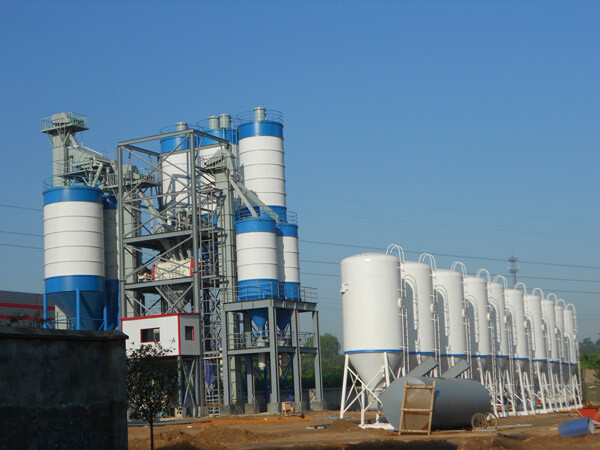 Drymix Mortar production line is mainly composed of elevator, premixed bin, storage bin, cement silo, dry mix mortar mixer, finished product warehouse, packing machine, dust collector and electric control cabinet. Sand drying system can be added according to customers’ actual demand. Sand dryer is a core of the entire dry mortar mix plant and a key point in determining overall productivity. Our sand dryer has the advantages of small occupancy, low investment, easy maintenance, safe and reliable operation. In addition, our sand rotary dryer of dry mortar plant adopts automatic control device, which can finish the entire working process automatically by adjusting the time of control panel. 1. This kind of mixer has four parts: transmission mechanism, horizontal drum, coulter mixing shaft, fly cutters. 4. The dischaging door design can make sure the discharging complete and without residue. 5. Special Sampler: this is a dynamic sample fetching mouth, convenient for customer to test the mixing situation. Screw conveyor consists of screw machine, the driving device, feeding and discharging port. And it has compact structures, high conveying efficiency and long conveying distance. In dry mortar mixing plant, crew conveyor is used to convey dry powder and small granular materials horizontally or vertically, such as cement, fly ash, slag, lime, grain, mortar and etc. Trommel screens of dry mortar mix plant is used to screen all kinds of wet or dry powder, sand and small particles. Because of the trommel screens has larger screening area, it is convenient to select the sand for large-scale screening operations. Vibrating screen of dry mix mortar manufacturing plant includes electric-motor, vibration exciter, pulp distributor, screening frame, frame, suspension spring, triangular belt and screen mesh. It has the advantages of simple structure, convenient maintenance, high screening efficiency, easy operation. As an experienced dry mix mortar plant manufacturer and supplier, our company can provide customers free services such as site planning, equipment installation instruction and debugging, personnel training, life-long technical guidance. What’s more, we can provide customers the specific dry mortar recipe. You should figure out the productivity of the dry mortar equipment you need, then you can choose the structure of the equipment according to the size of your factory area. After that, you can consider whether you want full automatic type or semi-automatic type. Finally, you can choose whether to buy sand dryer, packing system according to your real needs. You can make clear the basic things above and ask our professional sales for advice. Our engineers can provide you the site plan, 3D drawing to meet your demand. 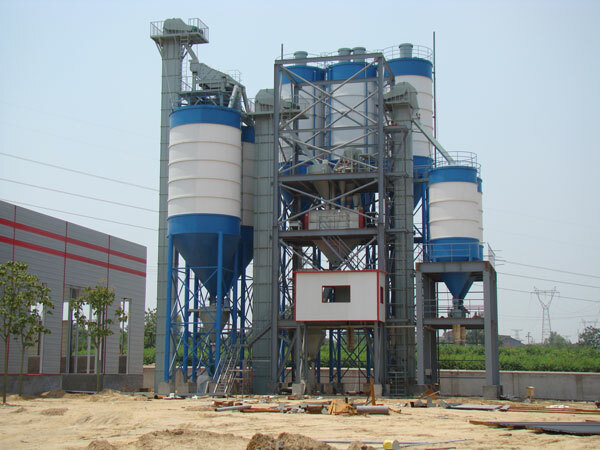 Both standard types and customized dry mortar mix plant is available in our company. As a well-known dry mortar plant manufacturer in China, we have 30 years experience for production and sale dry mix mortar plant. With its many advantages of compact structure, high reliability, low energy consumption, simple operation and maintain, high efficiency and stability, our dry mortar machine has popular in many countries now. 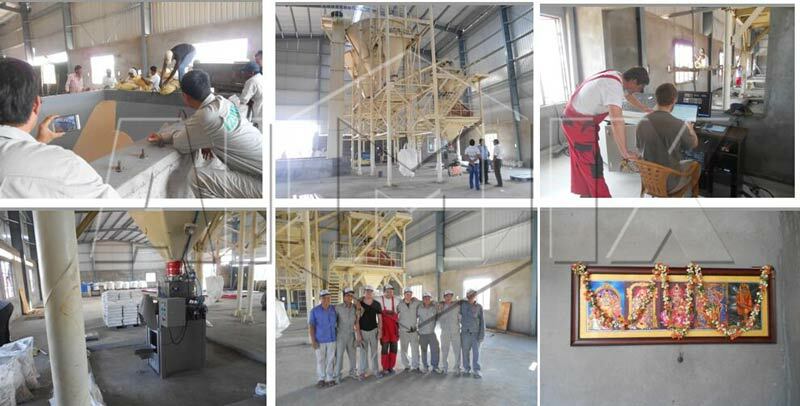 In short, we are trusted dry mortar mix plant manufacturer by users, our dry mortar mixing plant is worth buying by our users. If you have any needs of dry mix mortar plant or mini simple dry mix mortar production line, please contact us for a free inquiry.